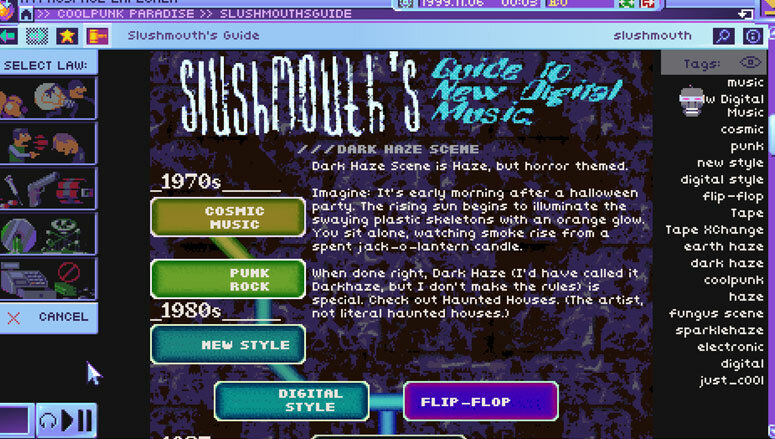 This article includes major spoilers for the game Hypnospace Outlaw. As I load the game for the first time, I’m greeted with all the familiar whirs, clicks, and beeps of a computer boot sequence, then with a video welcoming me to my brand new HypnOS computer. As I watch it, I have a giddy grin on my face as I’m transported back in time to 1995. I was a freshman in high school, and it was the year my dad upgraded our computer from DOS to Windows 95. It was also the year I got my first taste of the World Wide Web. For those of you who need some context, these were the days before cell phones, text messaging, digital cameras, Wikipedia, and even DVDs. Cordless phones were still exciting (I could bring the phone to the other side of the house! Sometimes even outside!) and 8-bit video games were revolutionary. 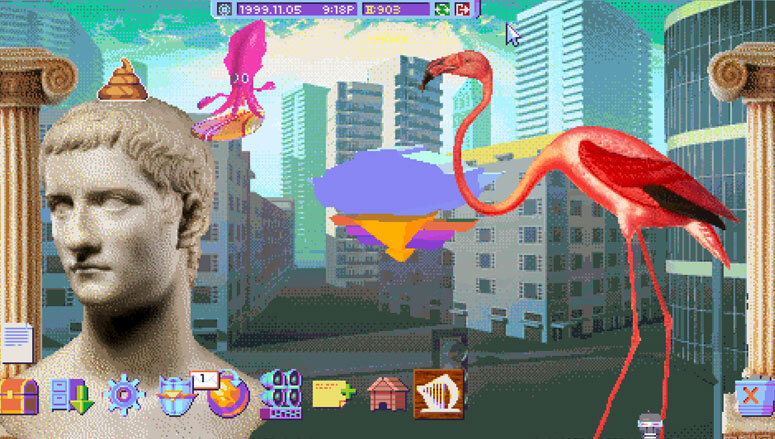 This world of the early internet is lovingly recreated in miniature by Hypnospace Outlaw, the alternate reality internet simulator released last month by No More Robots and Tendershoot. It pays tribute to all the parts of turn-of-the-century computing that we now love to hate. There are in-game downloadable music files to collect (which you play in the game’s WinAmp clone), web-safe colors, webrings, and “under construction” gifs. There’s even a “useful” AI assistant called Professor Helper—who, impressively, is even more annoying than Clippy was. There are also rules that need policing, and that’s where you come in. As a user who cares about the safety of fellow Hypnospace citizens, you have volunteered your time as an Enforcer, responsible for seeking out and reporting policy violations such as harassment, copyright infringement, and malicious software. 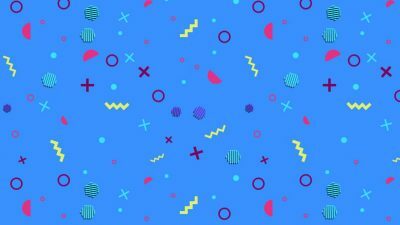 The whole Hypnospace product is built on ground-breaking tech called “Sleeptime Networking,” a technology that lets you use computers while you’re sleeping. If that doesn’t seem like a terrible idea to you, then let me add that users wear headbands that beam the data directly into their brains. Apparently there are Hypnospace users who have the same concerns I do, because it doesn’t take long to find pages warning of the dangers of “beefbrain” and offering tips for avoiding it. 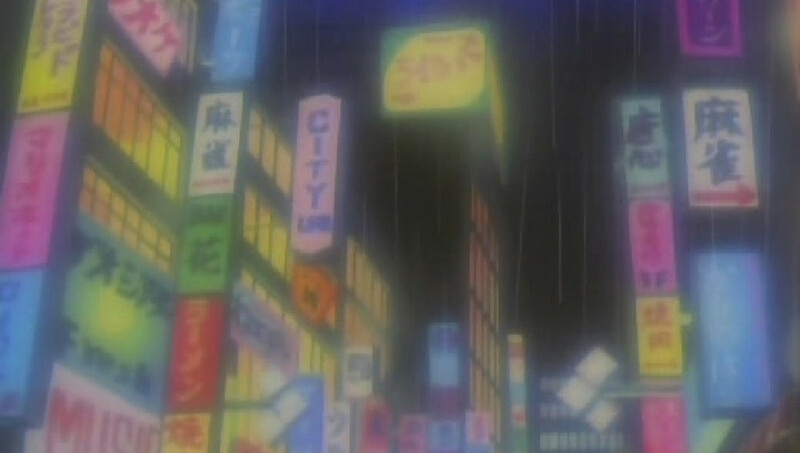 A person’s “little corner of cyberspace” was a home away from home, and a place where we could find the community we were lacking in our offline, mundane lives. Teenage-me, however, would probably have thought it was a brilliant innovation. For those who, like me, came of age in the 90s, the freedom we found on the net was liberating. A person’s “little corner of cyberspace” was a home away from home, and a place where we could find the community we were lacking in our offline, mundane lives. It was a playground for the tech-savvy, a refuge for the world-weary, and an outlet for anyone who just needed to tell the world about their love of dogs and guardian angels (with WYSIWYG editors like Dreamweaver, even the most clueless technophobes could make their own homepage!). Thanks to the miracle of the Internet Archive, my Geocities websites have been preserved almost in their entirety. For years, I was embarrassed to look at them. But now, given enough space and time, it’s fascinating to reflect on the dual life I was living. In real life (IRL, as we said), I was nerdy, isolated, and awkward. But in the alternate universe of the internet, I was loved, respected, powerful, and free to express myself without fear of criticism. I spent long hours tying up my family’s single phone line (much to the dismay of my parents), logged in to ICQ and Yahoo! “RPG” chat rooms, and surfing the web for backgrounds, gifs, and quotes to add to my website. The relative obscurity of the cyber-frontier was a mixed blessing. Laws and regulations were the furthest thing from most of our minds—early browser design even reinforced this idea that to surf the web was to travel through a different world where the usual laws didn’t apply. Thanks to the lack of regulations governing the internet, we got away with a lot. Our less-technologically-inclined friends and family didn’t really understand what we were doing, which meant that they thought we were wasting our time but also that they didn’t really bother us in cyberspace. A website was a digital version of a teenager’s bedroom walls, except that we could actually keep our parents out, and we could program it to start playing a low-quality version of our favorite song on repeat as soon as someone opened the door. Eventually it becomes clear that Dylan’s public web identity is a facade, however. In one Enforcer case, you need to report Dylan for copyright infringements—illegal sharing of music on the FLST file-sharing server—after which he terminates your volunteer position on the Hypnospace team, sarcastically thanking you for informing all his coworkers about his FLST page. Worse yet, he is more concerned with his company’s success than the health of its users, pushing forward with programming of his competition-killing game so that it will be ready for their y2k update—rather than dealing with known software bugs or addressing reports that Hypnospace users are suffering headaches and poor sleep. A website was a digital version of a teenager’s bedroom walls, except that we could actually keep our parents out. But was I much better when I was 21? None of us were giving much thought to the consequences of our actions. The World Wide Web was vast, unexplored, and untried. It was just asking to have its boundaries tested, and test them we did. In the real world we had our own file-sharing fiasco with companies like Napster and Limewire, which allowed users to freely share digital music files, without restriction. According to The Guardian, over 50 million users downloaded files on Napster in 2000 alone, and neither the artists nor the music labels received any pay for these downloads. When college students started getting sued by big record labels and bands for illegally sharing their music, and as we watched Napster get shut down by these same industry giants, we simply changed our folder permissions on the school network. We were so used to getting things for free that we bristled at the thought that maybe we should reconsider our perspective. And then there’s Facebook. Many of us can’t imagine our lives without it at this point, but let’s not forget how it was birthed: from a Hot or Not-style site called Facemash, designed by a bored college student. Now 16 years away from its humble beginnings, Facebook influences every part of our lives—how we get our news, make important health decisions, vote for our government, plan events, and make friends. The company has made its platform indispensable for many of us. For being so ubiquitous in our lives, one would think Facebook would prize a positive company image. Yet it seems to be always making news for some scandal, data breach, or privacy concern. As an adult who now thinks that copyright law should be taken seriously, and who has had to deal with her share of internet trolls over the years, I take a great deal of glee in my role as a Hypnospace Enforcer. Clicking a literal Ban Hammer on first-grade drawings of vintage cartoon characters and on teenage bullies’ secret homepages makes me cackle perhaps far more than it should. No, I don’t think that six-year-olds’ fanart should actually be censored. 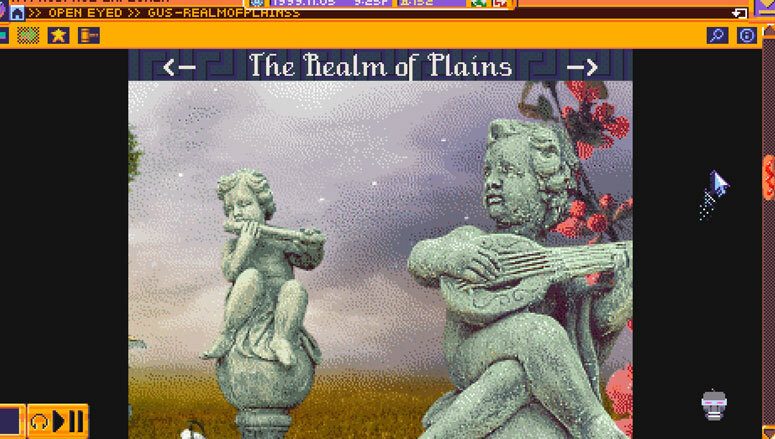 But it’s cathartic to judge my fellow netizens under the guise of “keeping Hypnospace safe,” and it gives me an opportunity to laugh at my own dumb teenage self. Doubtless, the freedom afforded us by the unregulated internet birthed innovation and inspired revolutionary breakthroughs. But, in the words of Dr. Ian Malcom, early net innovators and users “were so preoccupied with whether or not they could, they didn’t stop to think if they should.” We overlooked responsible, thoughtful stewardship in favor of entitlement and narcissism. We didn’t know what we were playing with. And now, as we navigate thorny subjects like Net Neutrality and social media regulations, we are starting to see the fruit of those attitudes. Old habits die hard, though. We still don’t like playing by the rules, even when we know it’s the right thing to do (and on the internet, it seems many people don’t care.) I love sites like Spotify and Pandora, and they’re definitely an improvement over the free-for-all that was Napster (which, plot twist—is coming back? ), but sometimes I wonder if these alternatives are much better or sustainable in the long-term. They certainly don’t make artists much money. And I think Facebook is trying to improve, but are its improvements in privacy and content moderation a genuine attempt to create a safer internet, or simply a matter of corporate image? April-Lyn Caouette is the Chief Local Outreach Nerd and Managing Editor for LTN. She grew up playing tabletop games with her family and whatever terrible computer games she found in the bargain bin at Radio Shack. As an adult her love of all things nerdy has only grown, and now she’s excited to be able to join them together with her love for God to serve both the church and her fellow nerds. Her favorite things include tabletop gaming, classic sci-fi novels, Sailor Moon, My Little Pony: Friendship is Magic, and anything Lovecraftian. She lives in Southern California. 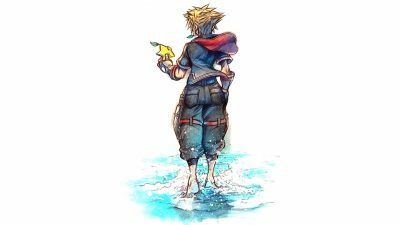 Joey takes a look at how nostalgia can add to our lives and benefit the films, games, and shows we love—and how it can likewise be a hindrance. 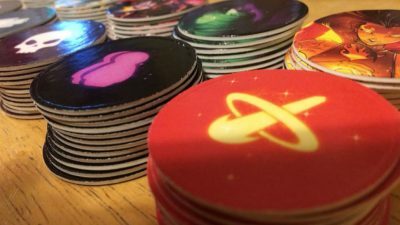 One of April-Lyn's favorite games at PAX Unplugged reminded her that sometimes, the best way to have fun as an adult is to temporarily forget that you're an adult. We are throwing out all of the games we would like to see on this throwback classic. 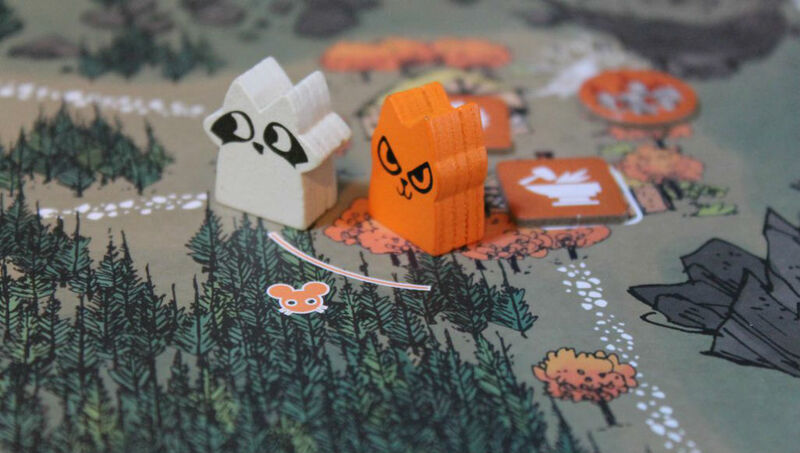 No game or franchise is off limits as we speculate wildly. 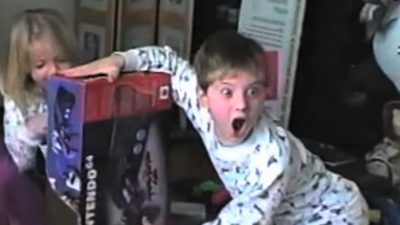 Did we affirm or throw shade on your favorite game from your youth? More than Likely, both… and that’s what we want to talk about this week on the Free Play Podcast.